Love Poems: Are You the One? digs deep into the heart of love. These poems and insights are written in a way that most people will relate to. There are many questions that people ask about love. Here are some of those questions. When am I going to find "The One'"? Is the person that I'm with "The One''? Are we going to work out? How does this person feel about me? What does this person think about me? 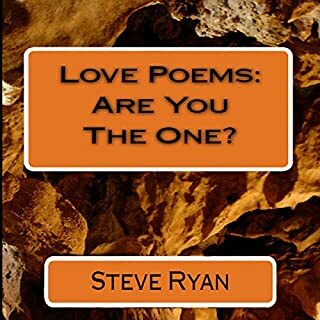 Would you listen to Love Poems: Are You the One? again? Why? I listened to it more than five times. It's a very unique and outstanding release which I couldn't put down. Every single chapter is unique. The five different chapters blown me away by its passion and glory. They are very touching and I enjoyed listening to it every time. The passion and the heart touching words blown me away. Every year, thousands of people across the country decorate their homes for the holidays. Do you ever wonder how this wonderful tradition began? 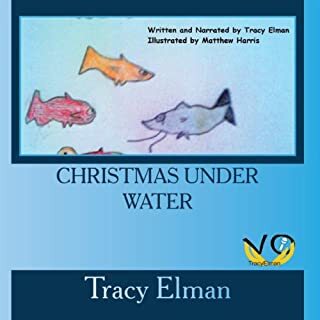 Author Tracy Elman and her son Matthew have written and illustrated this charming tale about a special aquarium and the fish who decide to decorate their aquarium for the Christmas holidays. If you could sum up Christmas Under Water in three words, what would they be? If I sum up Christmas Under Water in three words, it will be - An Exciting Story! I couldn't put it down, completed listening to all in one sitting. What a cute story! These are the fish's view of the Christmas holidays. The kids love the narrator 's voice and presentation. They keep listening to the story over and over again. They get so excited. I am going to look for more of Tracy Elmans books. On her eighteenth birthday, Princess Adele inherited the Kingdom of Iden. Willful, strong, and independent, her life changed when she discovered she's more than successor-she's heir to a mysterious power hunted by an evil spirit. Chaos covers her lands, forcing Adele to flee its reach. She journeys to unravel the secrets of her abilities, and defeat the enemy shadowing her. Adele refuses to let Iden fall-not without a fight. If you could sum up The Spirit: Awakening in three words, what would they be? 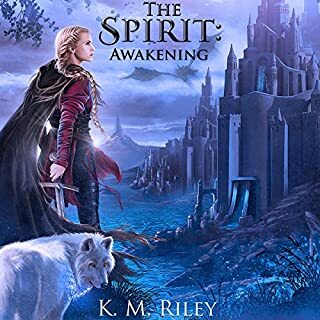 If I sum up The Spirit: Awakening in three words, it will be "Incredible thrilling fantasy" and I enjoyed the epic fantasy ride through this book. Have you listened to any of Matt Thurston’s other performances before? How does this one compare? Comparing to the other Matt Thurston's performances, I would definitely tell that The Spirit: Awakening - is an excellent release and he narrated it superbly. Yes, definitely I couldn't put it down. I completed listening to it in one sitting. The thrills, fantasies, suspense - all of them are blended perfectly with its character development and comprehensive writing. It's a great fantasy ride which was fun to listen. I enjoyed it and I would love to recommend The Spirit: Awakening.